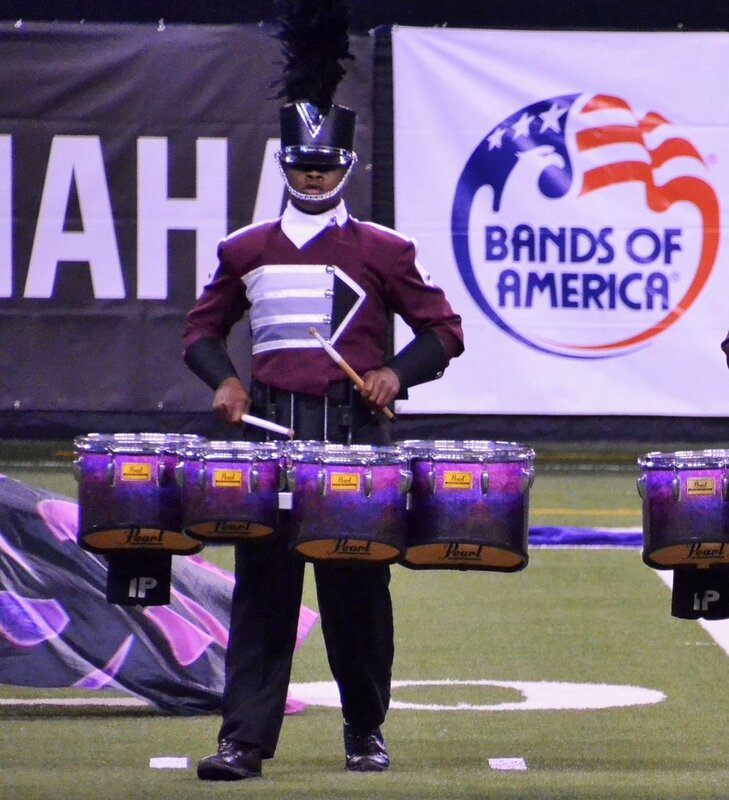 The Dobyns-Bennett High School Band is one of the most respected high school band programs in Tennessee and in recent years has gained national prominence. It has an established tradition of musical excellence and achievement that has been fostered for over eighty years. Professor S.T. “Fess” Witt came to Kingsport from Norton, Virginia to organize Dobyns-Bennett’s first school band in 1926. The first band, comprised of 45 students, consisted of ten cornets, twelve clarinets, five trombones, two alto horns, six saxophones, three basses, two baritones, two drums, two fifes, and one piccolo. 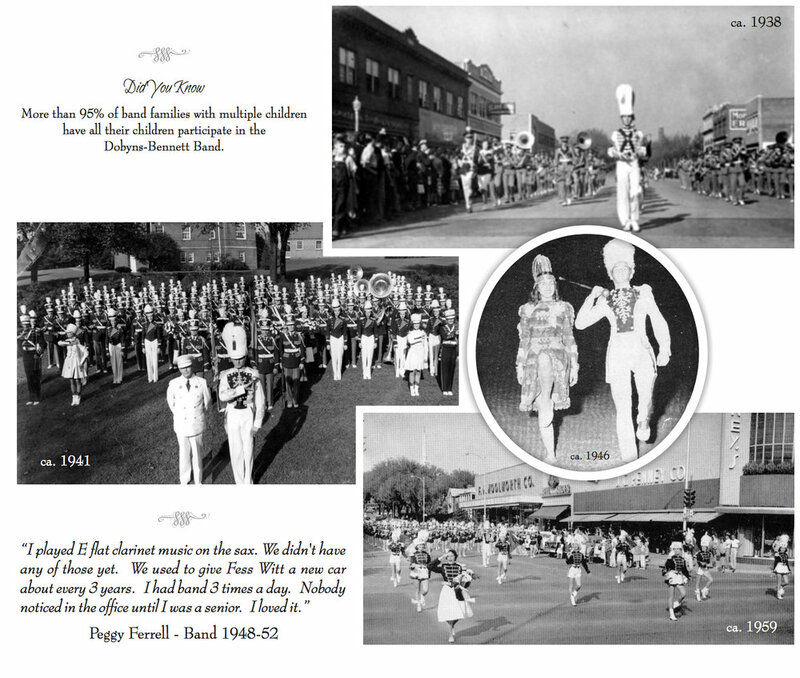 For many years the Dobyns-Bennett Band had a tradition of parading through the streets of downtown Kingsport before football games to excite residents for the“big game.” During World War II, the band would gather to send off Kingsport Servicemen as they left for service. The band would also participate in a parade to honor the school’s graduates every spring. Today the Dobyns-Bennett band program is comprised of a football marching band and color guard, competitive marching band and color guard, three concert bands, and a percussion ensemble. Everyone in the band program participates in the football marching band which performs a half-time show designed to entertain our football fans at both home and away games. The football marching band also participates in local and national parades. Our competitive marching band and color guard members are selected based on musical and marching abilities and their desire to achieve a high degree of artistic excellence. Their show is performed in local, regional, and national competitive venues. Our concert season begins immediately following the conclusion of the marching season. Every student auditions and is placed in one of our three concert bands - Wind Ensemble, Symphonic Band, or Concert Band. Each student’s chair placement is based on the musical ability demonstrated in their audition. Wind Ensemble represents Dobyns-Bennett, Kingsport, and the State of Tennessee at state, national, and international concert festivals and conventions. The Dobyns-Bennett band program is proud of its diversity and works diligently to meet the needs of all our students based on their musical ability and dedication, not their economic situation.